Smart device security risks will increase as we embrace an increasing number of Internet connected devices also called Internet of Things or IoT. According to some recent studies, smart and connected devices used by consumers and businesses will increase by a considerable number in the next few years. In fact, research forecasts that 5.5 million new things get connected every day and over 20 billion devices or “things” connected to the Internet and other devices will be in use by 2020. Although these devices may have less capabilities today, they will grow in number and capability. Some examples of smart devices used by businesses for cost saving purposes include connected light bulbs, HVAC, and building management systems. Other specialized devices may be used in hospital equipment, tracking devices in factories, transportation, personal cars, and many others. Some examples of connected devices used by consumers include smart refrigerators, smoke detectors and even home's windows which will share information to other devices and device owners for decision making to make lives efficient, cost effective, safer, and healthier. While wearable devices are consumer centric Internet of Things and drones serve both consumers and businesses, IoT opportunities will remain largely in the government and enterprise sectors. The point is almost every device consumers own and nearly every object will be connected to the Internet to serve a specific purpose, communicate, and be tracked in the future raising smart device security risks. Obviously, as we trust these smart devices in our homes, cars, and businesses, they must be accounted for, validated, approved for a select number of transactions and services, and monitored just like monitoring people. For example device deployment similar to employee onboarding, approving device services, and, monitoring will become important as these devices will be entrusted to run human lives and serve customers. Therefore, adequate identity management practices will become even more critical when we start to manage the identities of these devices in addition to the identifies of humans who build these devices. The sky may be the old limit when it comes to technological advances in the smart and connected device market. Every imaginable device used in homes and businesses will be controlled remotely and able to share information or perform approved services. These devices will require international standards to be built and communicate with each other. And, among smart device security risks, the device security will continue be of utmost importance with a risk of hacking which can turn a friendly device into an enemy device such as takeover on smart drones, self driving cars, street lights, hospital equipment, public sector services, and even home ovens which can burn down the house if they are taken over by malicious hackers. In the old days, our homes had just a few entry doors and windows, but with the introduction of smart devices, our homes have more than just a few entry points facing the Internet which can be exploited by hackers to enter homes remotely such as web camera takeover which allowing intruders to observe our homes in violation of our privacy. 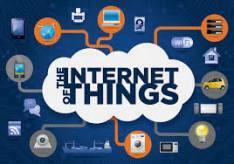 The Internet of Things industry is a fast growing market which has attracted $7.5 billion in investment, through nearly 900 deals over the past six years. Information technology will no longer be the business processes enabler but rather a service or product enabler. This evolution is inevitable and will increase security risks introduced by these smart devices which will include device identity theft. Join Identity Management Institute for collaboration on smart device security risks.